LOS ANGELES – Feb. 4, 2016 – Team Shelby, the official car club for Shelby enthusiasts worldwide, will make driving an adventure again during its highly anticipated 9th Annual “Team Shelby Bash” on Thursday, March 3, through Sunday, March 6, 2016, in Las Vegas. Open to all fans, the four-day event will feature track days and hot-laps at Spring Mountain Ranch, parties at the Shelby American headquarters, exclusive tours, car cruises and more. The four-day event will kick off on March 3 with a reception at the Silverton Hotel in Las Vegas. 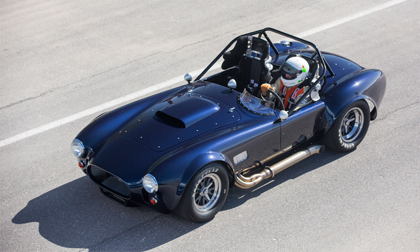 Action-packed excitement including hot laps in the latest Shelby American vehicles will begin on Friday at Spring Mountain Ranch. A barbeque will be held Friday night with live entertainment at Shelby American. For those who opt out of a track experience, Team Shelby will take guests on a tour through the Valley of Fire on Friday and a Poker Run on Saturday. That evening, Shelby American will host a banquet with high profile speakers, VIP guests, Shelby legends and video presentations. The 50th anniversaries of the Shelby American and Ford victory at Le Mans in the Ford GT40, as well as the Ford Shelby G.T.350H will be honored. Tickets can be purchased at http://www.shelbystore.com/product-p/bash16-ticket.htm.